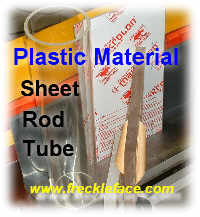 GARAGE DOOR WINDOW REPLACEMENT, WINDOWS FOR GARAGE DOOR, PLASTIC GARAGE DOOR WINDOWS, RPLACEMENT GARAGE WINDOW We have thicknesses including 1/8" thick, 3/16" thick, 1/4" thick, 3/8" thick, and 1/2" thick. 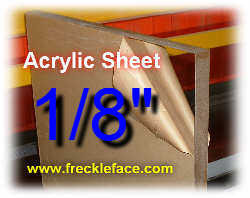 These can be cut to size for your windows on the garage; add to your cart and enter the dimensions and we'll cut it for you. For delta, Midland doors, and all others you can use this polycarbonate window! Clear Polycarbonate Sheet Now Available With Ultraviolet Protection! 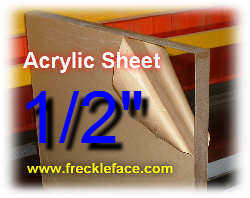 We also have thousands of pounds of clear acrylic garage window sheets. 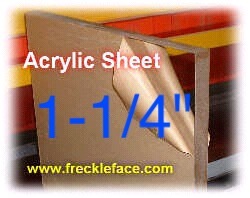 Clear acrylic sheet is known by many trade names such as clear Plexiglas sheet, clear Plexiglass sheet, clear Lucite sheet, clear Perspex sheet, clear acrylic glass sheet, all which can be used for your garage door window. 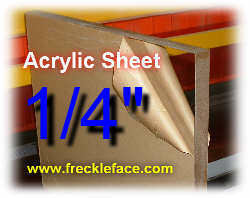 We have a range of thicknesses including 1/8" thick, 3/16" thick, 1/4" thick, 3/8" thick, and 1/2" thick, 3/4" thick, 1" thick, and 1-1/4" thick acrylic PMMA sheet. Note that the trade names are registered trademarks and /or copyrights of the respective owners. 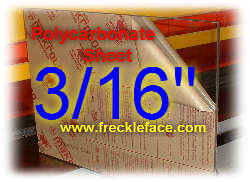 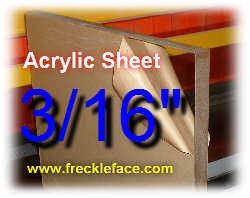 If you need clear plastic sheet for garage doors, freckleface.com should have it in stock. 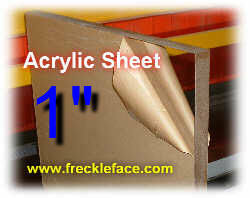 Take a look at the menu: We have clear plastic sheet listed under the menu buttons.